Congratulations and thanks to the Social Committee for their latest fundraising efforts! 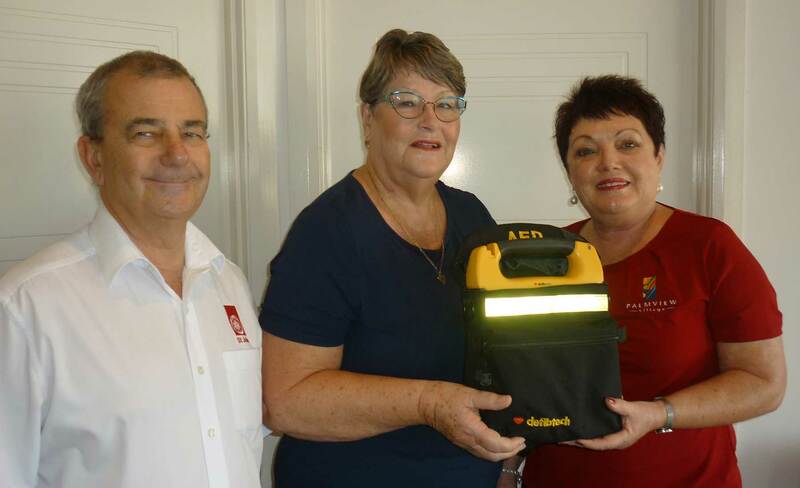 The Social Committee have purchased a defibrillator to be used by the Staff of Palmview Village in an emergency. All the Office and Maintenance Staff of Palmview Village as well as the Caretakers, Roger and Lesley Green, are fully qualified First Aiders, with Certificates in CPR. They all recently attended an update in training with the new defibrillator. Photo of Neville Spark, Senior Trainer, St John’s Ambulance, Jean Jackson, Resident of Palmview Village and representative of the Palmview Social Committee and Sharyn Chik, Village Manager.